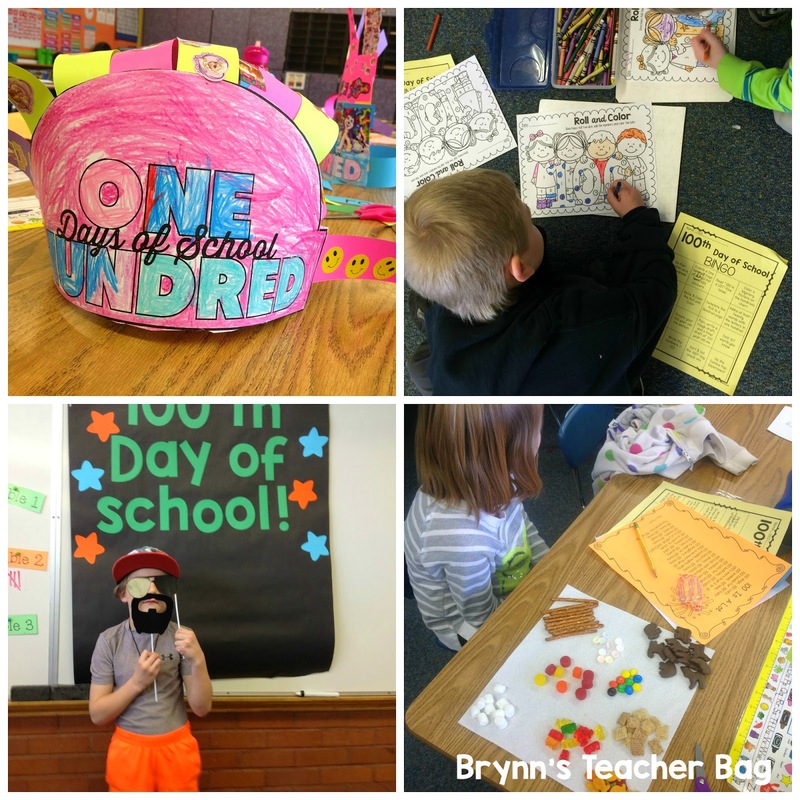 Brynn's Teacher Bag: 100th Day of School! 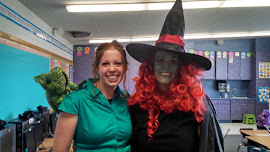 When my kiddos got to school on Thursday they were in for a huge surprise! They knew the hundredth day was coming because we had been counting up to it using our hundreds chart. They had no idea what we were doing and were shocked when they saw a huge banner decorating our doorway. They came in to find our center baskets all over the room and another poster on the board. They were a bit rambunctious, to say the least. I passed out a bingo card that had all the activities they could do throughout the day. There were 16 different language arts & math activities. I let my students pick where they wanted to start. (I LOVE doing bingo cards for days like this because my students can all work at their own pace. Differentiation at its best!) The rules for the day were only four people at a station. Of course then I got the questions like, "Well what if there's five?" You've got to love kids that ask those questions. :) I usually have another student tell them the answer. Throughout the day my students enjoyed making hats with 100 stickers, predicting if 100 licks would get them to the center of a Tootsie Pop, writing about their life as a 100 year old, going on a word hunt to find 100+7 words they knew, and a ton more! 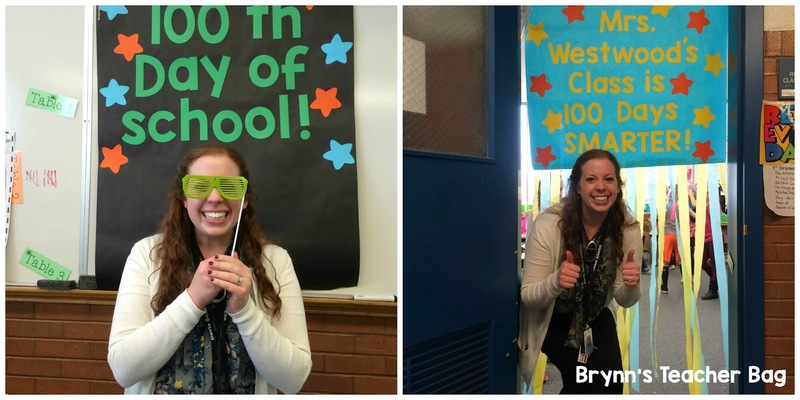 Their favorite activity was taking pictures with my photo booth props and hundredth day signs. Looking through my IPAD, I had to laugh because their goofy personalities came out perfectly in their pictures. They had a blast and I didn't even have one behavior problem! One of my kids told me that it had always been her dream to do centers all day long, and apparently this was the best day ever, so I was told. By the end of the day, I was exhausted, but seeing my students so engaged..PRICELESS! A few of them even told me, "Thank you for the great day." I was BLOWN away! This has nothing to do with the 100th day, but I have to tell you the most hilarious moment of my week. Two of my students were taking out the recycling, and one of them dropped my bin in the actual recycling bin. When they came in and told me, I jokingly told them they should figure out how to get it. One piped right up and said, with a huge smile on his face, "Okay!" I told him I was kidding, but he told me that he seriously could get it out. I went with him after school to the bin, and he hopped right in, telling me that he was trained for this. I asked where he got his training, and he said he does it all the time at his dad's work. He successfully got it out and got himself out without any help from me. My kids crack me up! Now that the hundredth day is over, on to planning for Dr. Seuss Day! Have a fabulous week! If you live out west, enjoy this outrageously, amazing weather!